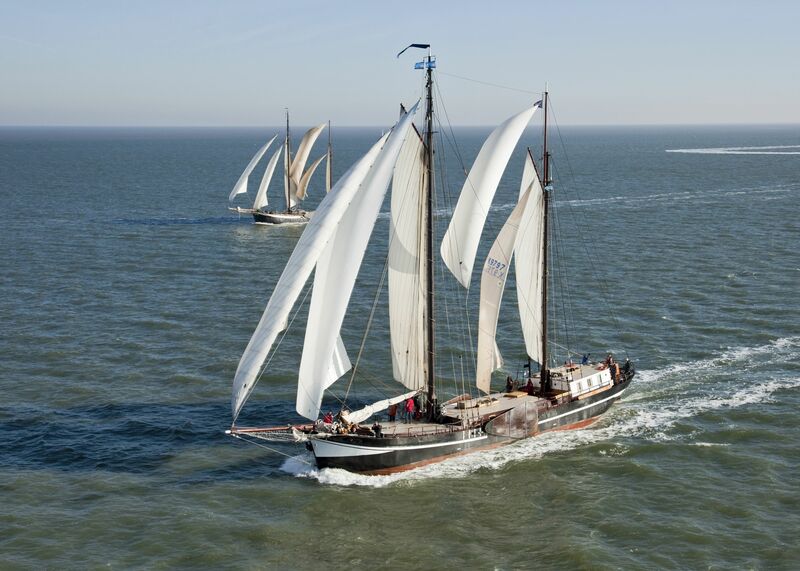 The fleet of Zonnewind Sailing Trips consists of three beautiful clippers: the Passaat, the Aldebaran and the Poseidon. 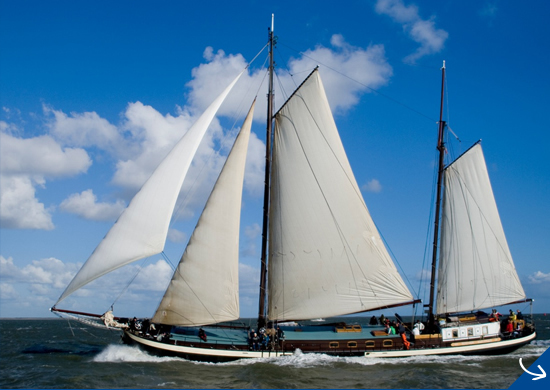 The Passaat is a beautifully designed clipper that can accommodate 28 people. The Passaat was built in 1900 at the Boot yard in Leiderdorp. The Aldebaran has retained its classic look and has space for 30 guests. The Aldebaran was built at the Ruitenberg yard in 1893. The Poseidon is a rugged clipper that can accommodate 32 persons. 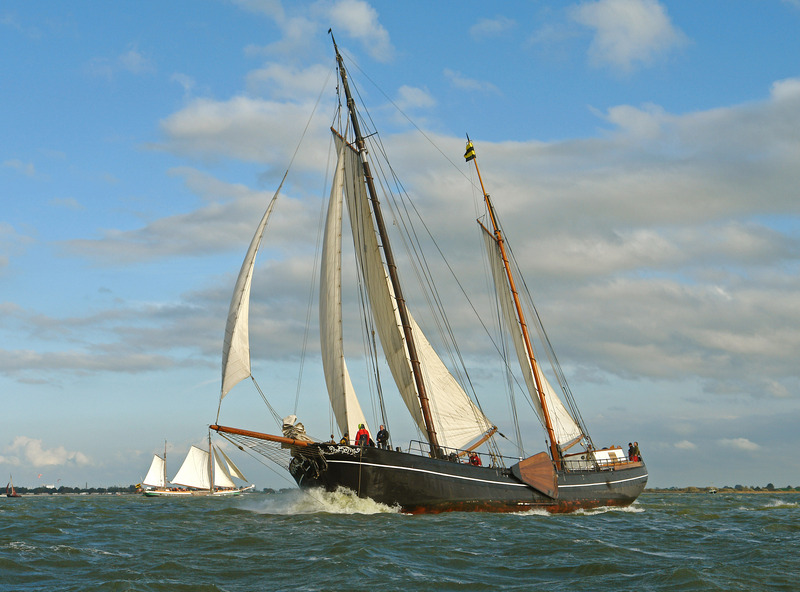 The ship was built in 1903 at the Duyvendijk yard in Papendrecht. 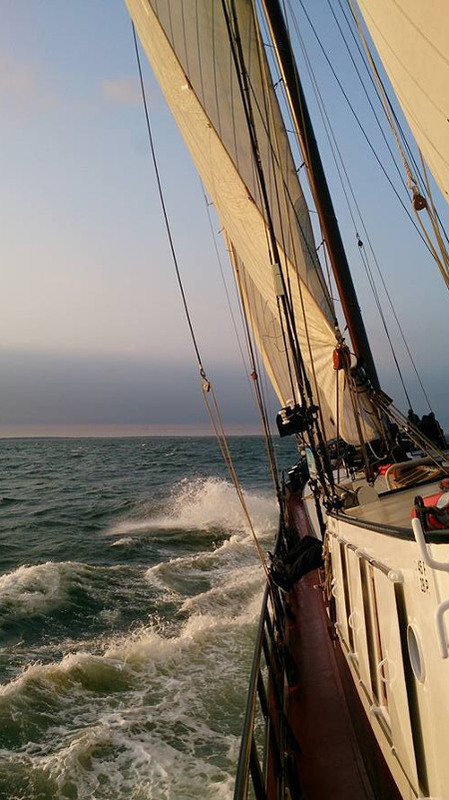 The clippers are well-maintained and have an experienced crew on board, consisting of the skipper and the mate. As guests you may join in and help them sail the ship: you can learn to hoist the sails, navigate or just enjoy the ship and the sailing experience. The clippers which are sailing under the flag of Zonnewind Sailingtrips are all linked to the guarantee fund: STO Garant. This is a guarantee for your carefree sailing trip. Do you want to enjoy a fully arranged trip?